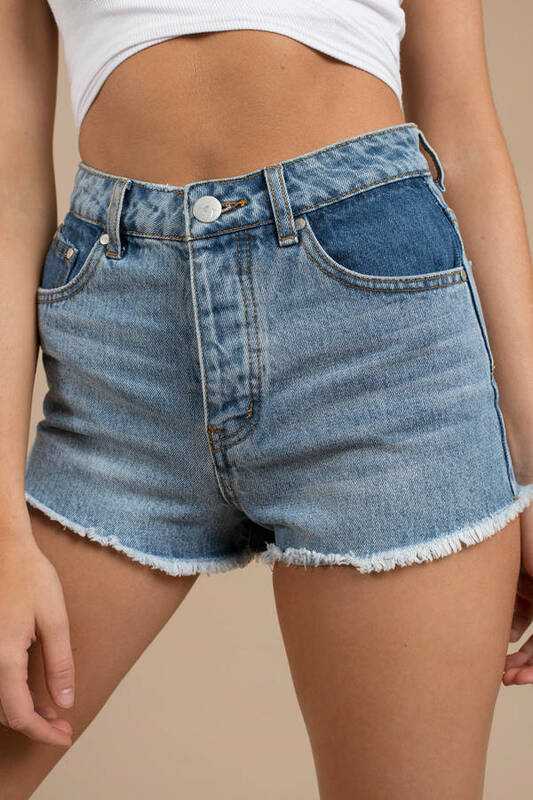 Check out Tobi's Bandini High Rise Two Tone Fray Shorts Go classic with a modern twist with the Bandini Light Wash High Rise Two Tone Fray Shorts designed by Tobi! Featuring a mid-rise with a classic five pocket cut with a two-toned pocket detailing on a structured denim weave. Go classic with a modern twist with the Bandini Light Wash High Rise Two Tone Fray Shorts designed by Tobi! Featuring a mid-rise with a classic five pocket cut with a two-toned pocket detailing on a structured denim weave.